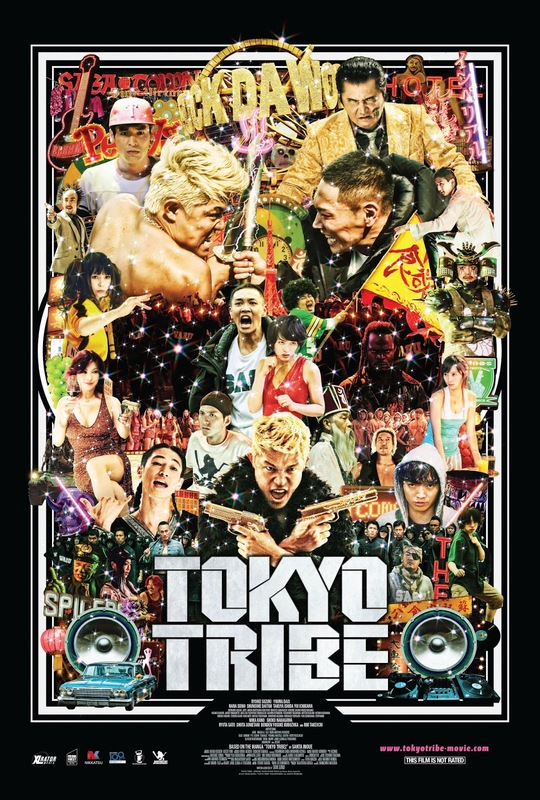 XLrator Media recently released information for the upcoming DVD and Blu-Ray release of Sion Sono's "Tokyo Tribe". The film stars Ryohei Suzuki and Young Dais. "Tokyo Tribe" hits retail on December 1st. In a futuristic Japan, territorial street gangs form opposing factions collectively known as the Tokyo Tribes. When one of the gang leaders breaks the fragile peace, it triggers a brutal street war for supremacy. Based on a popular Manga series and told almost entirely in rap verse, TOKYO TRIBE is an ingenious mash-up of Yakuza gang violence, martial arts action and hip-hop musical.